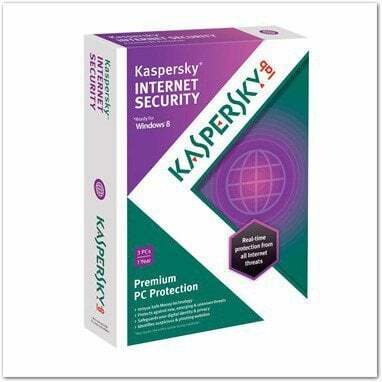 Amazon features a great deal on a 3-user Kaspersky Internet Security 2013, this is a great moment to get one of the best security suites 75% cheaper. Amazon features a great deal on a 3-user Kaspersky Internet Security 2013, so if your antivirus license is getting closer to its expiration date, this is a great moment to get one of the best security suites 75% cheaper. It’s not specified how long this deal lasts, but at the moment you can get Kaspersky Internet Security 2013 for 3 users on Amazon for $19.99. The normal retail price for a 3 PC license is $79.95, so that’s 75% off. This is not a download license, it’s physical CD-ROM that has the software on it, the box including a license number.